Retromobe - retro mobile phones and other gadgets: The ten most influential 3G and GSM phones.. ever? 2013 is Mobile Gazette's tenth anniversary, so it seemed like a good opportunity to take a look back at what we think are the ten most influential devices of the past decade (plus a bit more). Some are obvious, but we hope that a few of our choices will surprise you! 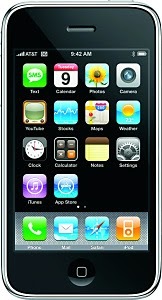 An obvious choice perhaps, but why would we choose the Apple iPhone 3G over the original 2007 iPhone? The answer is that the original iPhone was pretty dire - it didn't have 3G or GPS and you couldn't download third-party applications, which are all essentials in a modern smartphone, and it was often very slow as well. The 3G also started to sell in really significant numbers, quickly eclipsing the first-generation device and it really started to eat into the market share of its competitors. Of course, the 2009 iPhone 3GS is even better, but the 3G was the first time the iPhone didn't have to come up with a string of excuses as to why vital features were missing. In terms of influence.. well, it should be obvious. Although touchscreen smartphones existed long before the iPhone came out, Apple's offering popularised a certain look-and-feel of both the hardware and software which led to many copycats.. and many legal disputes with rivals. In terms of mobile phone history there is a very clean "before iPhone" and "after iPhone" period when you look at the products on the market. The Motorola RAZR V3 may be nearly a decade old, but it was one of the first handsets to sell purely on design rather than features. Following on what seemed to be the incredibly tiny Motorola StarTAC, the RAZR V3 was incredibly thin and carefully engineered from aluminium. And when it was launched it was very, very expensive. The RAZR demonstrated that consumers wanted something more that just a brick to make phone calls on, and the handset was an enormous success. 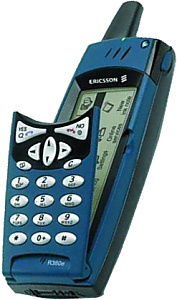 However, beneath the pretty exterior was a pretty dreadful handset which put a lot of consumers off. 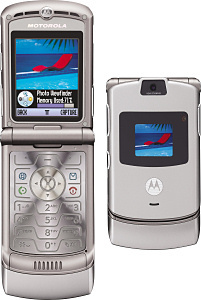 In the end, the RAZR nearly killed Motorola as the firm kept trying to remix the same tired old formula instead of innovating, as a result Motorola eventually lost its independence and is now a subsidiary of Google. The Nokia N95 and it's successor, the N95 8GB competed directly against early iPhones, but came with 3.5G data, GPS and a first-rate camera plus access to a large library of third-party applications.. all the things that the original iPhone lacked. The relatively large QVGA display wasn't a touchscreen, but it was a lot better than most devices on the market. This combination of features created a new class of mobile phone that all other manufacturers had to beat, and even six years on these old Nokias are still quite useful. The competitive advantage of the N95 and it successors was quickly eroded when Apple added many of the missing features to their range of smartphones, and it took Nokia until 2009 to come out with a touchscreen device to compete, with the Nokia 5800 XpressMusic. 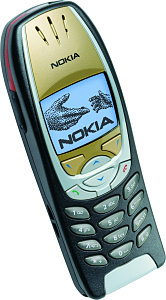 Launched in 2002, the Nokia 6310i became the quintessential business phone. It was easy to use, had a long battery life, Bluetooth, a really loud ringtone and was robust enough to handle to odd knock and bump. You could even look at WAP pages on it (which nobody did) and play Snake (which probably everybody did). And one reason why it remained popular for years and years was that many business users had car kits designed just for this phone. The 6310i understood its market completely. It didn't have a colour screen, because it wouldn't add anything of real value. It didn't have a camera because frankly the cameras of the day were useless, and in some businesses and organisations cameras are not permitted on site. It was a perfectly tailored device for its target market, and Nokia could never quite repeat the trick with any of its successors. One of the last handsets to come out under the "Ericsson" brand, the Ericsson R380 was a touchscreen Symbian smartphone that came out eight years before Apple really popularised the concept.. 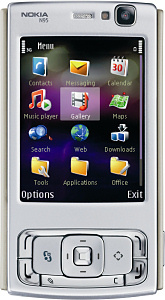 The R380 was a monochrome device with a flip down keypad, like the Sony Ericsson P800 and P900. Although it was restricted in what it could do (you couldn't install apps, for example) it demonstrated what was possible, and for a long time Sony Ericsson were the clear leaders in smartphone technology and helped to set the benchmark for what a smartphone should do. Back in the 20th century, the R380 looked like a James Bond gadget.. indeed, a mock-up of a closely related phone (called the JB988) appeared in the movie Tomorrow Never Dies. Back at the turn of the century, standalone PDAs were still popular with the two main platforms being Palm's PalmOS and Microsoft Windows CE. Windows CE was very popular, but unlike smartphones these devices couldn't make phone calls or access the internet on the move. Combining a PDA with a phone seems to us to be obvious, but by 2002 there were very few examples. The HTC Wallaby was one of the earliest recognisable examples of what we would regard as a modern touchscreen smartphone, and rapid improvements came afterwards which eventually established HTC as one of the key players in the smartphone market. 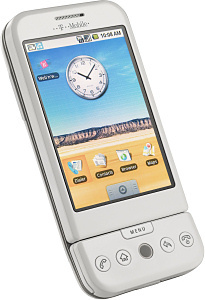 The Wallaby was never sold under its own name, instead being marketed at the O2 XDA, T-Mobile MDA, Siemens SX56 and Qtek 1100 plus many other names. And although both Windows and HTC have had their ups-and-downs since then, the Wallaby and the handsets that came afterwards helped to shape the concept of the modern smartphone. By the time the Samsung Galaxy S II came to market, Android smartphones had already been around for several years, but the S II represented a significant upgrade to screen size and processing power and put some clear blue water between Samsung and Apple.. at least in technical terms. But despite the Galaxy S II having all the design charm of a cheap but reliable microwave oven, Apple took objection to this rather dull slab of a smartphone and tried to block it in the courts. 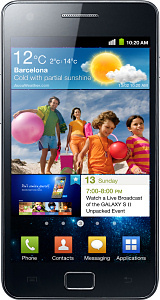 While the Samsung Galaxy S II is certainly no design icon (indeed, has there ever been an iconic Samsung phone?) it certainly represented an escalation in the specifications arms race between major manufacturers. It's hard to say exactly what device is the definitive BlackBerry, but we'd suggest that the BlackBerry 7230 is probably one of the best candidates. The 7230 was tightly focussed on messaging with an efficient compact keyboard, an unusual but very low power transflective display, excellent integration with corporate mail systems, some decent PIM tools with a fairly decent library of downloadable applications.. and even some games. The BlackBerry 7290 added Bluetooth, but other features took a long time to come to the BlackBerry platform, especially modern essentials such as 3G, WiFi, GPS and even a camera. 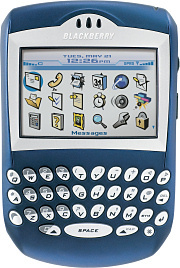 But the 7230 helped to popularise messaging on the move, even if consumers eventually defected to touchscreen rather than QWERTY devices. The elegant but very basic Motorola FONE F3 may not be a top-of-the-range smartphone, but it has a significant claim to fame as being the first consumer device to feature an electronic ink display. Off the top of our heads we can list exactly two phones with an e-Ink display, the FONE and the as-yet-unreleased YotaPhone, although Samsung did experiment with an e-Ink keyboard. Some manufacturers are experimenting with e-Ink displays in smartphone and tablet cases, but the biggest growth area has been electronic book readers such as the Amazon Kindle range, where the simple but low-power display is exactly what is needed. To a large extent, the rather crude display in the FONE demonstrated that it was certainly possible to include this type of screen in a low-cost consumer device, and in this respect it was a pioneering handset. The T-Mobile G1 (also sold as the HTC Dream) was the first rather clunky attempt at an Android smartphone. Where the contemporary Apple iPhone 3G was an elegant device, the G1 was rather utilitarian and featured a slide-out QWERTY keyboard and a little trackball, two features that are essentially extinct today. Although modern Android phones are quite different from the G1, the market had been long awaiting a true "iPhone killer" handset, and the G1 heralded what was to become the best-selling class of smartphone in the world. But of course, the G1 and all the Android phones that came after it did not actually kill off the iPhone at all. But they did kill off Windows Mobile and then Nokia's Symbian platform.